Presidential Meadows is located on Highway 290 just east of Manor, TX about 16 miles from downtown Austin. With easy access to Austin, Round Rock and Pflugerville via US 290 East and the new Texas 130 toll way, many employers like Dell, Samsung, and Applied Materials are just minutes away. Currently, there are 500 homes in Presidential Meadows. As a master-planned community, Presidential Meadows will feature 1,500 homes upon completion. Nestled within the community there are several miniature parks and playgrounds so families can spend quality time together. The pool is conveniently located near the front of the neighborhood, and offers a relaxing place to cool off during those hot summer months. A Community Amenity Center is also available for residents to rent for private functions. 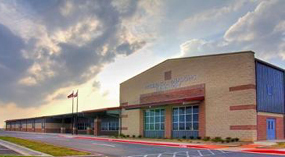 Also located within the community is Presidential Meadows Elementary, one of seven elementary schools in the Manor Independent School District. In 2009, Presidential Meadows Elementary received the second highest Texas Education Agency Academic Excellence Indicator System (AEIS) rating of Recognized with Gold Performance Commendation in the Sciences. Presidential Meadows is one of only three elementary schools in the Manor Independent School District to receive this AEIS rating.